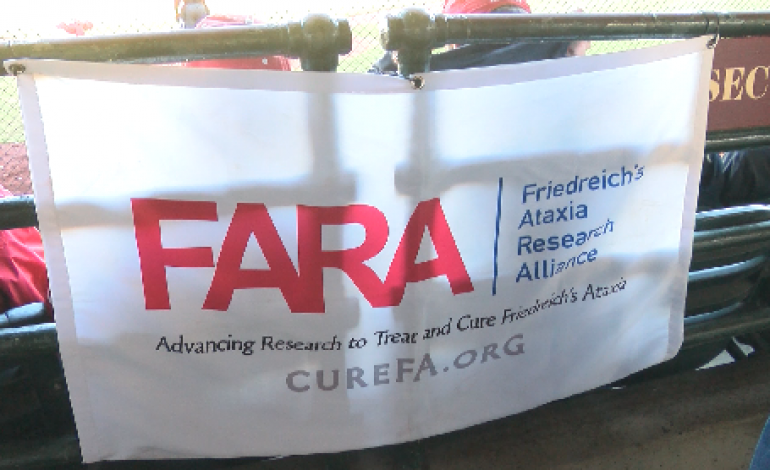 Baseball players from Indiana University and the University of Southern Indiana came together for something bigger than the game itself- to raise awareness and money for Friedreich Ataxia, also known as FA. “The main thing is that people are coming out, supporting FA, you know and hopefully we can make our statement with FA in this community,” says Tracy Archuleta, USI baseball head coach. Archuleta’s son, Sam, was diagnosed with FA when he was ten-years-old. The disease, which has no cure, is known to break down muscle coordination, speech, and balance which is why Sam says he can’t play sports. Some local Hoosiers say the game is all for Sam. “Feeling great. Couldn’t feel better and it’s awesome that IU and USI can come down here and play,” says Sam Archuleta, Tracy’s son living with FA. “He’s thrilled to be at this game today and just come out here and do it for him just to play the game for something bigger than yourself is awesome,” says Cal Krueger, IU sophomore P and Jasper grad. Nearly three thousand people packed Bosse Field with hopes to hit a fundraising goal of $30,000. One of the biggest athletes to come out of Evansville also showed up. Marlins manager Don Mattingly was there to catch Sam’s ceremonial first pitch. “Hopefully it’s something that again awareness brings attention, attention usually brings more research, and research usually we get advances in medicine,” says Mattingly. “Hopefully not only our community, but the world gets involved a little bit and makes a difference and we do find a cure and help all these young kids and adults that have it,” says Tracy Archuleta. And it’s Sam’s wish to have events like this that are bigger than baseball. “I hope they get out what FA is and just hopefully we can do this again and they can come out again,” says Sam Archuleta.